In the last few days, a man's been killed by a dog in Cumbria and 11 children have been attacked in Northumberland. There are also claims that dogs are being strung up by their teeth and slammed into brick walls during pre-fight training. In all of these cases there have been questions about whether the animals involved are actuallly "banned breeds". This is your Newsbeat guide to the dogs you can and can't own in the UK. 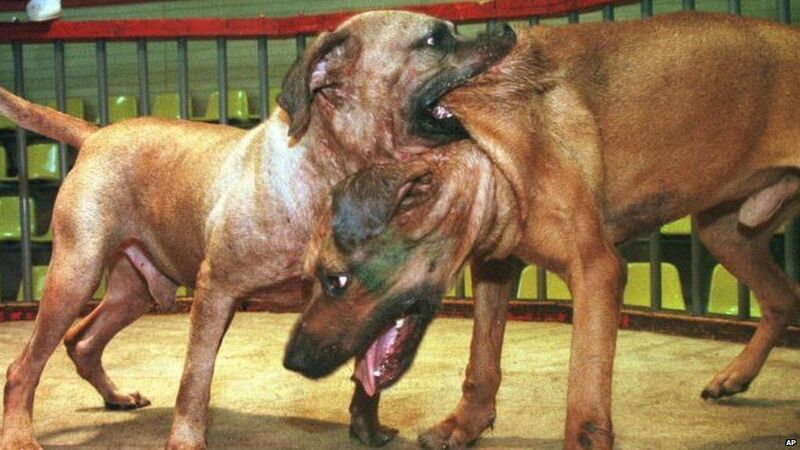 Dog fighting's been around for centuries, and it's been illegal in this country for nearly 200 years. Despite this, it still goes on. 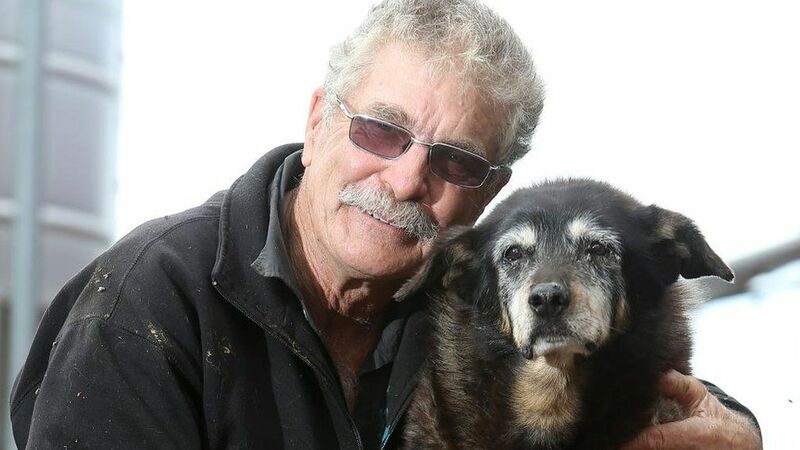 In 1991 the government introduced the Dangerous Dogs Act to try and stamp it out. 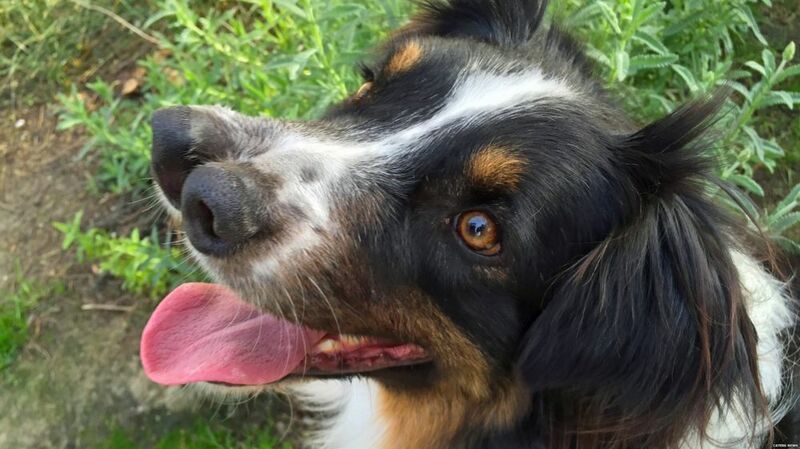 The act bans four breeds. 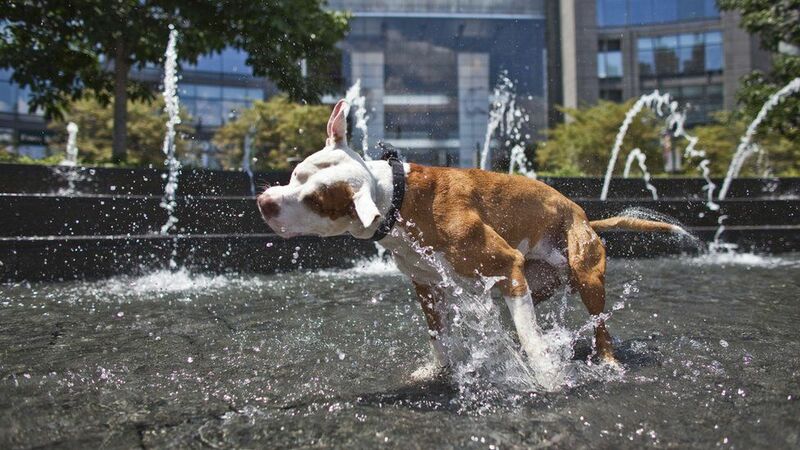 The first of these, the Pit Bull terrier, originated in England, and was bred with fighting in mind. 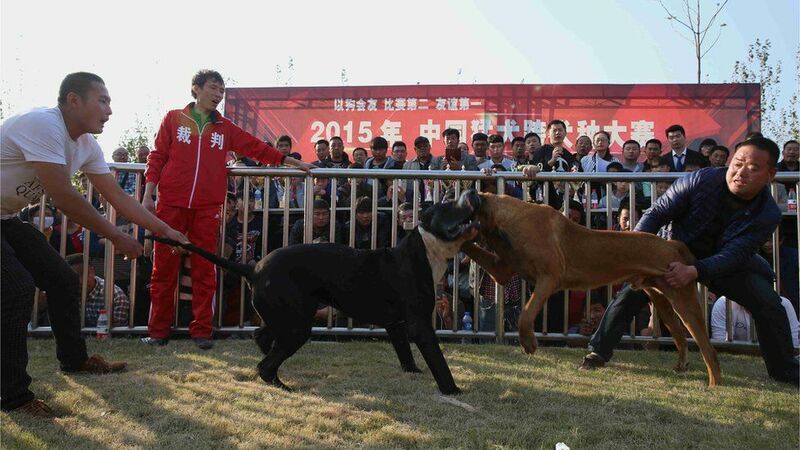 It was used in blood sports like bull and bear baiting - where packs of dogs were set against bigger animals in a pit. These "sports" were made illegal in 1835. 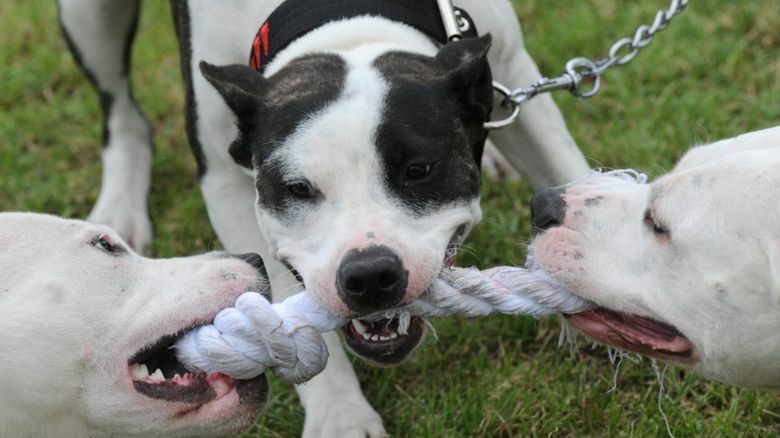 Dog fighting, though, carried on because it's harder to police. The Japanese Tosa is also banned in the UK. It too was bred specifically for blood sports, but came from Asia. Japanese rules meant dogs weren't allowed to make any noise in the pit, so the Tosa is said to have been able to fight completely silently. The other two illegal breeds, the Dogo Argentino and Fila Braziliero, both came from South America. They were bred to hunt large animals like wild boar and puma. When they came to this country, though, they became popular fighters. What if I've got one? If you own a banned dog in the UK then the police can take it off you, even if it's well behaved and no-one's complained. Identifying a breed isn't an exact science - so officers go on what the animal looks like. This means you can still get into trouble, even if you think your pet's legal. 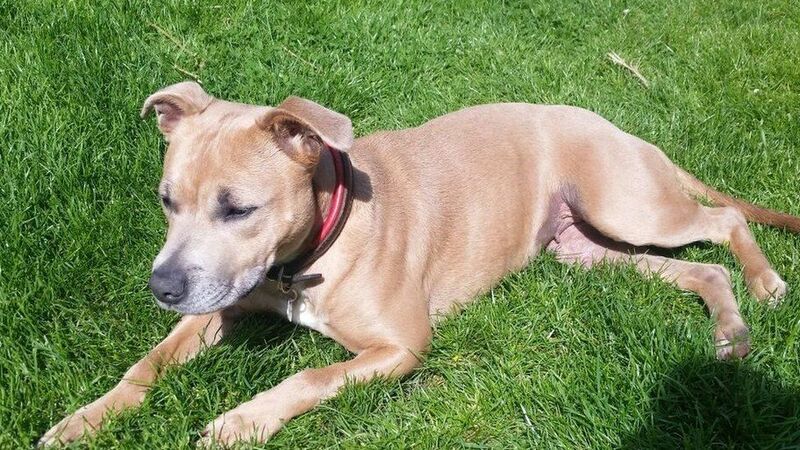 Image caption Staffordshire Bull Terriers look similar to Pit Bulls, but they're legal and common pets. There is a loophole though. 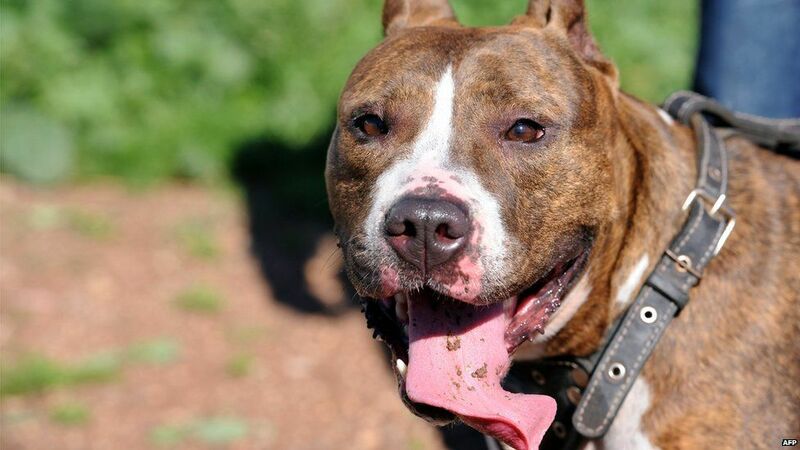 If you can prove a dog's safe, despite it being a banned breed, then you can get a certificate of exemption. This means you can keep it, but you have to get special insurance. You've also got to be over 16, and keep the dog muzzled in public. Lots of owners argue a blanket ban is wrong. They claim banned breeds can make great pets if they're cared for properly. Organisations like the League Against Cruel Sports, the RSPCA and the Kennel Club also want the law changed. They say the current rules focus too much on the breed of dog, rather than its actions or its temperament. Bill Lambert, from the Kennel Club, told Newsbeat that just because a breed was originally meant for fighting, that doesn't make it inherently unsafe. 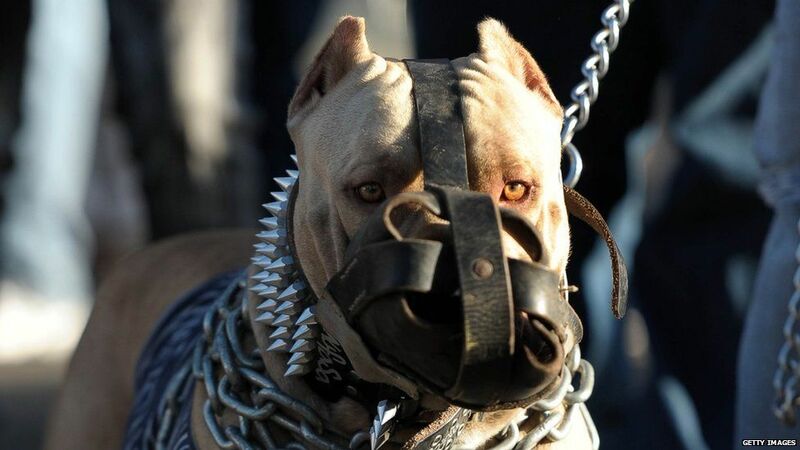 "Any dog can be dangerous in the wrong hands. 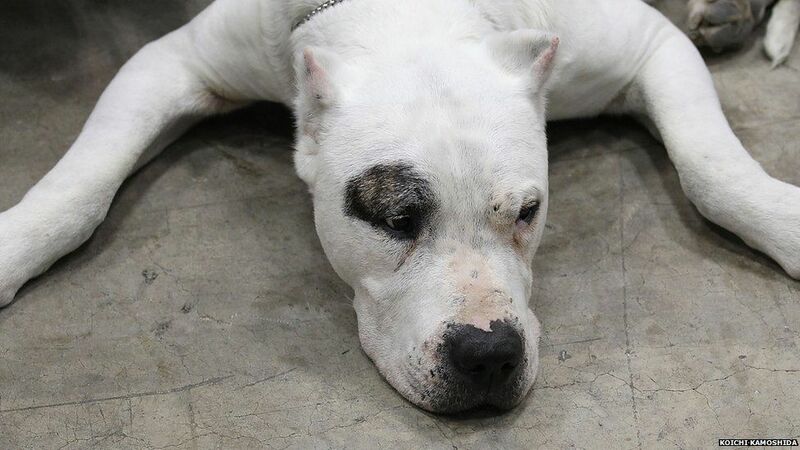 "These [banned] dogs are strong, muscular and powerful breeds, so they do have the potential to cause harm. "But this law suggests that other dogs are inherently safe, and that's not necessarily the case. "It should be changed to focus on the acts of the owner and not literally on what the dog looks like, because that simply isn't working." The Department for Environment, Food and Rural Affairs is behind the act. 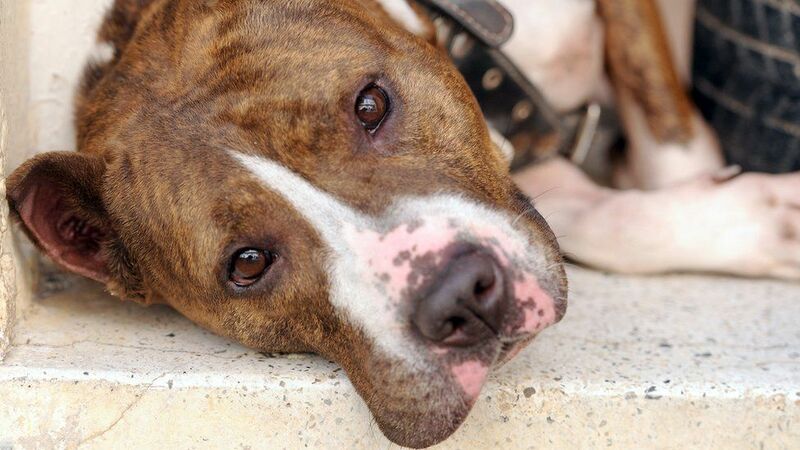 It thinks banning breeds is the right way to deal with the risks. "Dog attacks can have horrific consequences for victims and families," a spokesperson's told Newsbeat. "The prohibition of certain types of dog under the Dangerous Dogs Act is crucial to help us deal with the heightened risk they pose."